BRYAN EATON/Staff photo. Youngsters appear to paddle and sing "Row, Row, Row Your Boat" in a game of Ships and Sailors, a command game similar to Red Light or Giant Step. 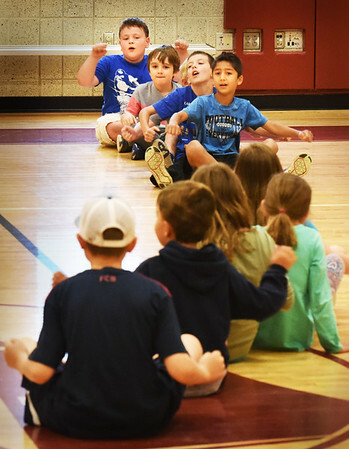 They were at the Newburyport YWCA's Summer Camp and were supposed to go on a nature hike, but did indoor games at the Bresnahan School because of the rain.